Want gifts for 9-year old girls that they will love? How about one of these books, art ideas, dolls, or games? Also read: the best books for 9-year olds. Fairy tales come alive when Alex and Conner (brother and sister) find themselves in the fairy tale book given to them by their grandmother. In the first story, their only way out of the Fairy Tale world is to find the ingredients for a Wishing Spell. Finding them will be dangerous, mysterious, and life-changing. Get ready for a non-stop reading adventure and magical imaginative worlds you’ll want to live in! Box Set HERE. I like these because if you give them early, kids can make other people presents. Get 3 bowls and 3 vases to decorate with paint; paints are included. I can’t believe these are still such a popular Christmas and birthday gift item. This adorable set includes a glitter Hatchimal and two “collegtibles”. You’ll know your egg is ready to hatch when you see rainbow eyes. Touch the egg to help it peck its way out. The Hatchimal’s eyes light up and make cute sounds to tell you how they’re feeling plus it sings “Hatchy Birthday” every time it grows into a new stage. FUN! Create and decorate your own mini clay cakes, cookies, and pies. Helpful, step-by-step directions in a full-color 48-page book plus all the materials you’ll need. Open this to discover over 60 surprises including new dolls and accessories. We can’t recommend these books enough. Young and brave Creel wants nothing more than to own her own seamstress shop. In her pursuit of this dream, she encounters and befriends a special dragon who will change the course of her life along with the magical dragon slippers that can help her speak or control her most esteemed dragon friend. My kids played and played with their Barbie Dream Houses — so I feel nostalgic in recommending this new model. It has a working elevator, lights and sounds — plus more! Create works of art, attach to tiles, and apply magnets to make fridge or locker decor. Winner of lots of awards, this kit teaches kids how to build electrical circuits with instructions for 15 projects like a dragon, cupcake, and a UFO. Your 9 year old girl will be thrilled to get this very popular American Girl gift book for fun, creativity, and crafts. My kids love this book. My kids LOVE to write with these yummy smelling and spar sparkly set of 12 pens. These last forever, too! Do your kids love slime like mine? This is a great starter kit for kids to make 8 types of slime and putty including magnetic putty, fluffy slime, and glow0in0the-dark putty. Includes storage tins and accessories and a 16-page guide. Non-toxic. 60 cards = gazillions of stories. Draw a blue and a yellow card and CREATE! Get your kids into geology! Start polishing your own gems with the included half lbs of gemstones, rock information, and jewelry fastenings. Add some pizazz to your room with this tree. Simply wrap the wire tree with brightly colored yarn and bend into the desired tree shape. What can you make with confectioner’s sugar, corn syrup, citric acid, artificially flavored packages, and gum base? Bubble gum in watermelon, blueberry and mint flavors! Includes note cards, resealable plastic bag, and instructions. Learn soap making basics (chemistry) from melting to molding, adding fragrance and glitter, in designs like a cat, a fish, a cupcake, a star, and more. Soft and cozy fleece blankets for cuddling up. Comes in multiple color combos, all perfect for snuggling. Sarcastic and hilarious, this is a laugh-out loud comic book story about a precocious young girl and her reluctant unicorn “best friend”. 9-year-old girls are going to adore this series! Knot together this soft and fuzzy quilt in any pattern design you like using the fleece squares provided. Use your tweezers to grab the correct microbes and place them into the petri dish. Find the missing microbes by using research rules and logic. Fast paced, fun, and good practice for your fine motor skills. We think it’s a blast! Get moving with this hilarious, fast-paced game. Call out the actions shown on the card (such as high-five and pound it) and if you match with another player, you both do the action. SO FUN!! What a fantastic new book series — my daughter and I devoured this first book. (She’s currently enjoying the 2nd.) Three kids form seemingly different social circles band together to rescue kittens they found in a dumpster — and solve the mystery of who would try to kill the kittens. Use your tablet or phones, plug in your microphone, and get singing! I love how this cool gift combines coding with LEGO blocks. Build any of five robots then control them by coding using the coding blocks on the free app. Includes a playmat for specific activities. Learn coding concepts through fun game play with 40 challenges. We LOVE this cool STEM skills game that makes you think while creating something awesome — a roller coaster. Full review here. Draw or write with these fun colorful pens. Erase any lines you don’t like! With over 100 pages and lots of templates, use this to write and draw your own stories. Code your own personality-filled robot, play games, and explore Cozmo’s world. Sure to become a favorite toy for your young STEM learners. LOVE this!! Inspiring prompts, coloring pages, list starters, phrases, and patterns—all featuring DC’s female super heroes—jump-start the imagination. Wonder Woman, Supergirl, Batgirl, Bumblebee, Katana and other beloved characters appear throughout colorful pages that encourage girls to doodle their own super hero name, design a motto, create a costume, and other creative pursuits befitting a super heroine. Check out this cute log cabin that has a hot tub, kitchen, fireplace, dining area, 2 dolls, and more! Holy Smokes! Your kids will loved this book. It’s packed full of awesome jokes and photographs; it’s hefty and impossible not to love. Fun facts added throughout make it extra interesting. This self-balancing electric scooter can go 8 mph for up to 60 minutes. This is a top gift for 2016. We highly recommend this fast-paced, fun and easy dice game. 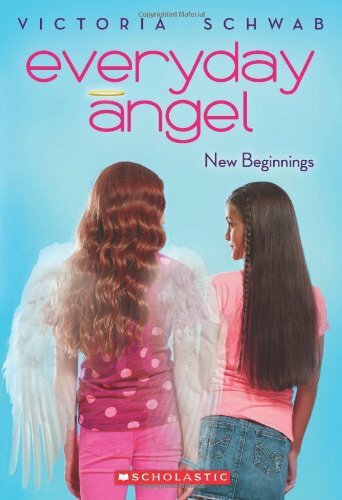 My daughter loves these sweet stories about an angel named Aria who is earning her wings by helping girls who are struggling in some way. In the first book, Aria helps Gabby. Gabby’s brother is hospitalized indefinitely and her mom is totally focused on her brother. It’s up to Aria to help Gabby at her new school and discover who she is apart from her family. These are charming, uplifting stories any 9 year old girl would like as a gift. Minecraft fans will want this new rail system kit for the Nether. Inclues a Steve minifigure, a zombie pigman, two magma cubes and more. Popular on YouTube, now there’s an official Stampy book with info, games, jokes, activities and comics. This will keep Minecraft addicts engaged for hours! How cool is this? Set up your own amusement park for your LEGO Friends with a rotating Ferris wheel, roller coaster, and lots more! Decorate the outside of your new journal, then explore the guided pages inside. It will be a great memory and self-awareness writing activity. Hands-on video game development! You build the video game of characters, game rooms, and game art using the provided blocks and game board. Sounds like a blast to me! Help the Sleeping Queens wake up by waking them up with the Kings. The goal is to be the first player with queens that add up to 50 points. Steal queens, put opponents queens back to sleep, and fight dragons. What will your kids favorite queens and kings be? This is a fun family favorite! Make your own putty! Each kit includes five tins of clear putty, three concentrated color putties, three special effect putties, and an instructional mat. I’ve said it before and I’ll say it again, headlamps beat book lamps for reading hands down. Because they’re hands free AND have much better light! (All over the page light, not just in one spot.) Plus, how cool are you when you sit in bed with a headlamp?! These really motivate young readers. We love making anything shrink — now my daughter can’t wait to try shrink-plastic jewelry. Comes with a 52 page instructional book. We’ve loved this book, particularly because it facilitates a fun parent-child time. JJ and dad so far love The Mutant Game (players give each other weird mutant animal combos to draw), Doodle Dare Circles (draw as many things as you can using only circles), and Squiggle Masterpieces (squiggles that become something wonderful). If your kids love Smencils, they’ll want these new smelly markers! (Cherry Vanilla, Bubble Gum, Grape Soda, Cotton Candy, Watermelon, and Cupcake) Make writing a sensory experience. Magformers Walking Robot Set includes a battery pack and a walking block so you can make many different types of moving robots. My daughter makes erasers from this kit like crazy — little monsters, animals, you name it. It’s not just creative, it’s useful! This is my husband’s favorite game to play with the kids. This Pass the Pigs classic party game consists of 2 pigs you use as dice, pad, 2 pencils and carrying case. Roll them as many times as you dare on your turn to score points. Just don’t role a “pig out” or an “oinker”. First person to 100 points wins. Your 9 year old girl will love this 3 in 1 LEGO building toy set. You can make a monkey, teddy bear or a squirrel! I like that it gets taken apart and built again and again. This is our favorite Clue version — this classic game is great for deductive reasoning! Don’t you think your 9 year old girl will love this cute locked diary filled with 200 colorful lined pages? And, there’s also a Kitty Diary also available if you prefer. Write and the heart top lights up. Would this pen set inspire your young writers? My daughter loves these stories about an angel named Aria who is earning her wings by helping girls who are struggling in some way. In the first book, she helps Gabby. Gabby’s brother is hospitalized indefinitely and her mom is totally focused on her brother. It’s up to Aria to help Gabby at her new school and discover who she is. These are sweet, uplifting stories. Illustrate the 18 ready-to-use book pages with the provided pencil and artist eraser, outline pen, and markers. Mail in a postage-paid envelope and a few weeks later, you’ll receive your professionally printed comic book! Winner of the 2013 Academic’s Choice Brain Toy Award. Includes a “Comics In Action” guidebook by FableVision to help turn ideas into cartoons. Isn’t this a clever idea? Find the right stickers and use them to create a zoo animal.